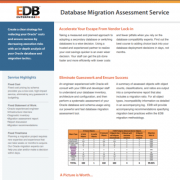 This document provides a high-level overview of the EDB Postgres Platform, and outlines four example use cases: legacy migration, new application development, cloud migration, and application modernization. 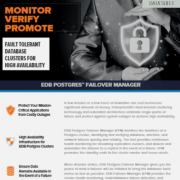 EDB Postgres Failover Manager (EFM) monitors the members of a Postgres cluster, identifying and verifying database, machine, and network failures quickly and reliably. 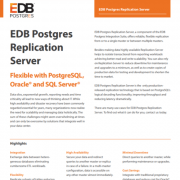 EnterpriseDB supports a wide array of connectors to integrate your application with EDB Postgres, including JDBC, ODBC, .NET, and OCL. Learn more. 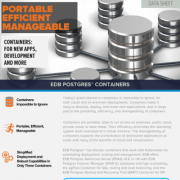 EDB Postgres Data Adapters for remote data sources allow you to integrate other databases and data stores such as MongoDB, MySQL, and Hadoop. 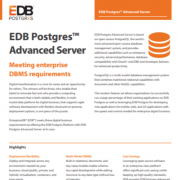 It makes EDB Postgres the central SQL interface and provides a unified view to all your data. Data integration is key for business intelligence and analytics. 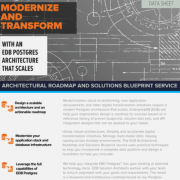 The EDB Postgres Integration Suite allows you to build a data platform for a unified view of data, making it available for company-wide analytics to gain better insights into processes and customer behavior. EDB can help information technology organizations engage in digital transformation and leverage the cloud for agile development. 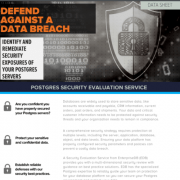 Our goal is to put enterprises in a position to deploy Postgres in any environment that fits their business requirements. 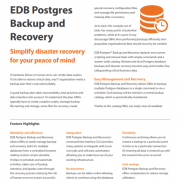 The EDB Postgres Cloud Database Service (CDS) is a complete end-to-end managed cloud database service that enables easy, self-service provisioning of highly available Postgres clusters or single instances on the Amazon Web Services (AWS) Cloud. Need to launch a new application? Replatform a legacy app? 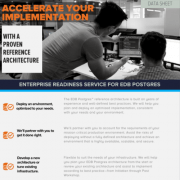 Learn best practices taught by the Postgres experts at EnterpriseDB through our structured EDB Training E-Subscription Program. 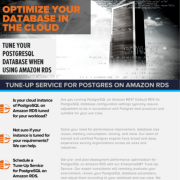 Build the skills to achieve success with your Postgres projects at a better value with better access. 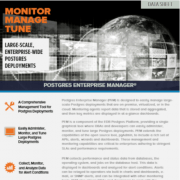 Learn how to manage the performance, scalability, and operational efficiency of Postgres with a summary and FAQs regarding EDB's free Postgres Training Program. 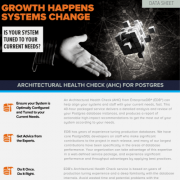 The Architectural Health Check Service delivers high impact recommendations for multiple aspects of your system including tuning, partitioning, replication and high availability. 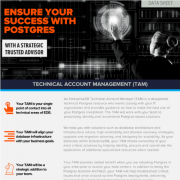 An EnterpriseDB Technical Account Manager (TAM) is a designated technical Postgres resource who works closely with your IT organization and provides guidance on how to make the best use of your Postgres investment. 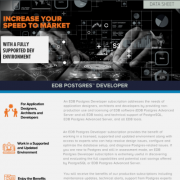 An EDB Postgres Developer subscription provides the benefit of working in a fully supported and updated environment, and provides access to numerous documentation, knowledge base and information resources. 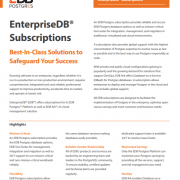 This data sheet provides an overview of the subscriptions that EDB offers. 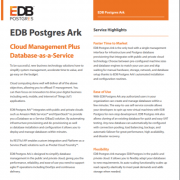 These are EDB Postgres Enterprise, EDB Postgres Standard, EDB Postgres Developer, and EDB Ark. Accelerate Your Escape from Vendor Lock-In: Taking a measured and planned approach to adopting a secondary database or switching databases is a wise decision.